Concrete Paver Driveways - A Paver Driveway can be a great value for a home. The maintenance on a paver driveway is minimal compared to an asphalt alternative. 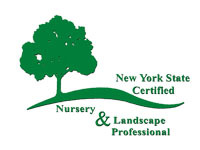 We are a Landscape Contractor serving Syracuse, Fayetteville, Manlius, Chittenango, East Syracuse, Skaneateles, Jamesville, Dewitt, Cicero, North Syracuse, Canastota and Cazenovia.